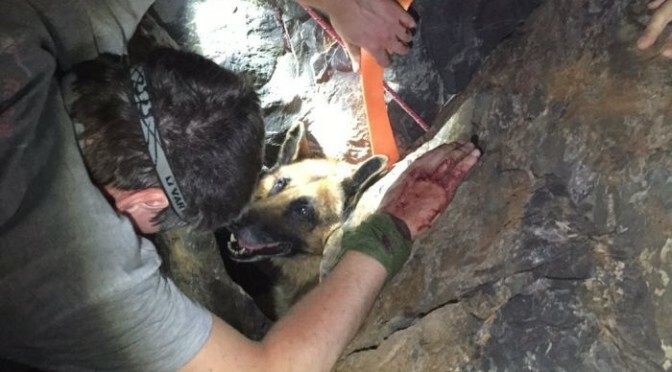 A grim end was looking likely for an ageing retired police dog which had fallen into a rocky hole on a Pilbara fishing trip, until a resourceful police officer was able to adapt his gun holster to make an unlikely rescue. It had been looking like a good day out when the dog’s owner, Cortlan Bennett, landed a nice-looking fish on the rocky groyne at Point Samson, on the Pilbara coast. Mr Bennett pulled the fish onto the rocks, but it came off and fell down between a gap in the rocks. 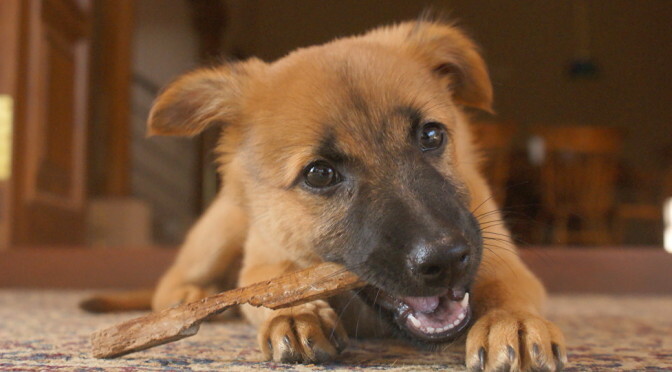 What started as a minor annoyance quickly escalated into a serious problem for Mr Corbett’s 14-year-old Alsatian, Indi. The gap in between the boulders just happened to be the perfect size to get an unbreakable hold on the unfortunate dog. 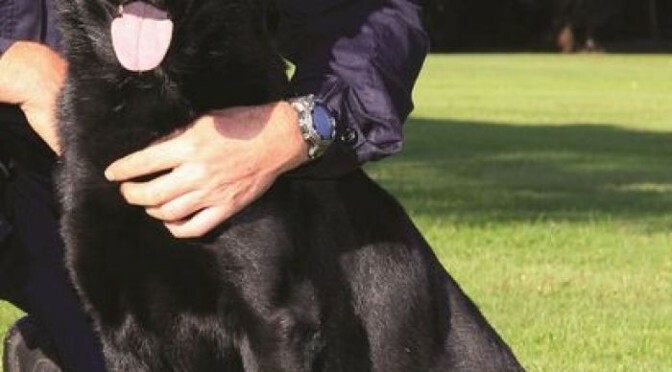 Attempts to pull the dog out by scruffs of skin caused the frightened animal to bite the hand of his owner. 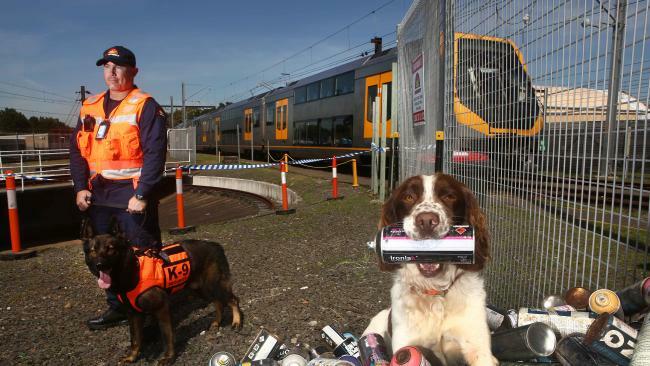 Realising he needed help, Mr Bennett called police at the nearby Roebourne station. When they arrived half an hour later, they realised there was no simple solution to rescuing an Alsatian prone to biting its rescuers. “It was pretty clear to them that it wasn’t going to be easy to get him out either, so they called in the fire brigade,” Mr Bennett said. 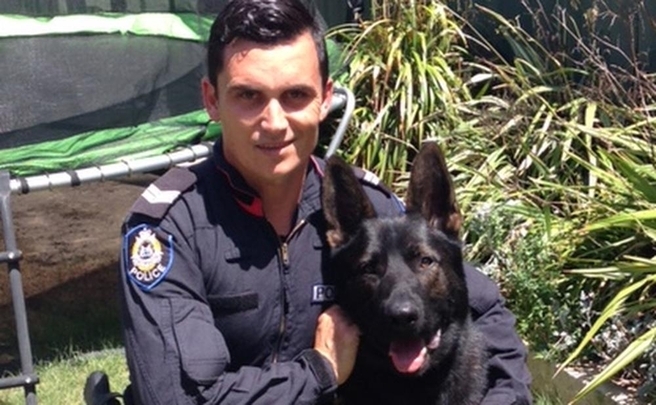 It was really a stroke of genius for this officer to just look down at his thigh and go, ‘Yeah, why don’t we use this as a muzzle?’ Roebourne police officer Jay Ravat was struck by inspiration. “He sort of looks down at his gun holster… and there’s an elastic band that holds the weapon to his thigh,” Mr Bennett said. It was almost fitting that in his twilight years, and in his hour of need, the police returned the favour. 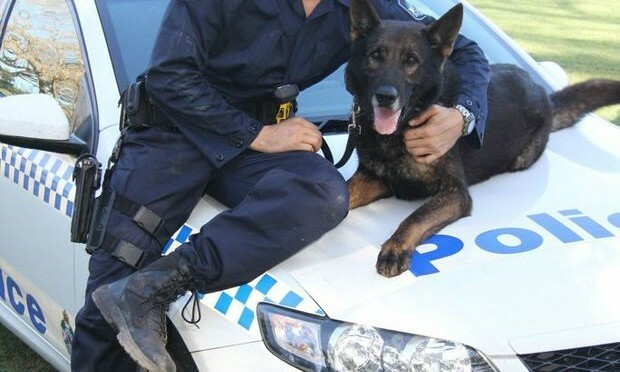 Police Dog Tunza suddenly and unexpectedly passed away at the weekend. Tunza fell ill during his shift on Friday and did not recover, police said in a statement. 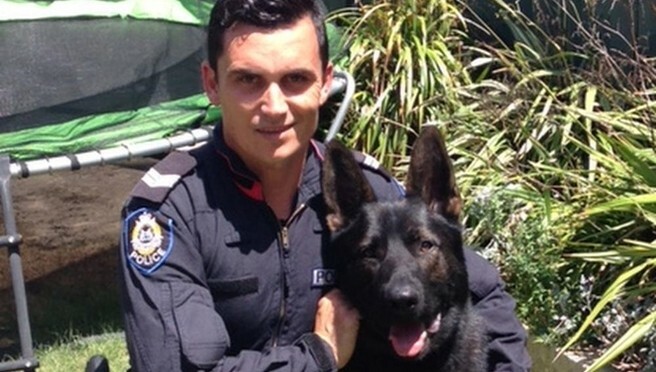 Tunza was seven and half years old and was sworn into the Queensland Police Service following his training at 18 months old. 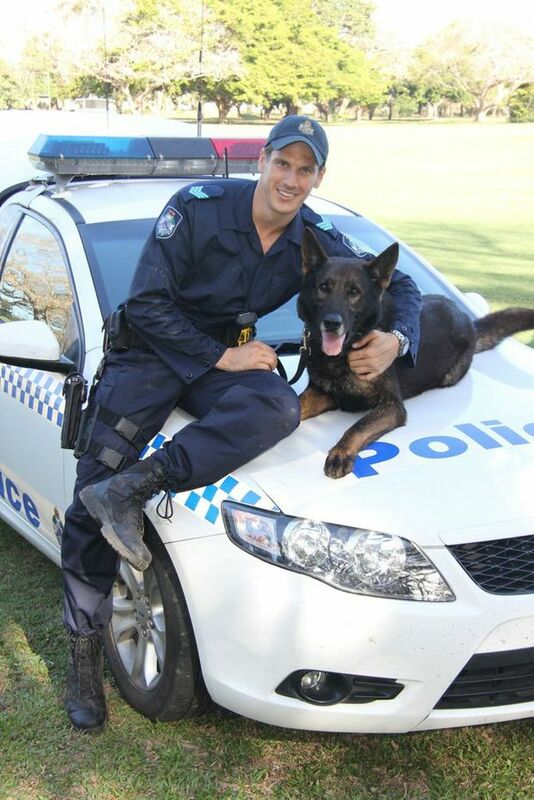 He was posted to Mackay District and served two years with Senior Constable Ben Richards and then served the last four years with his handler Sergeant Marcus Hahn, Officer in Charge Mackay Dog Squad. 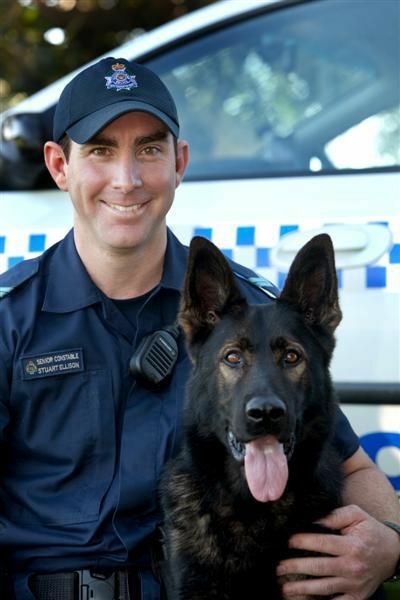 Tunza was a general purpose police dog, cross trained in drug detection. 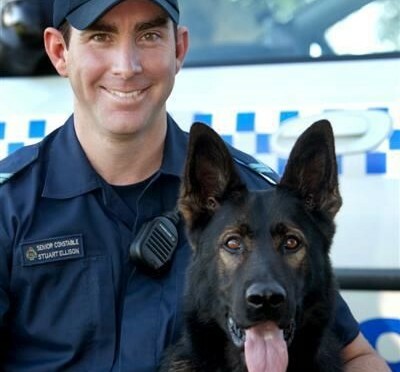 Sergeant Hahn and Tunza have been a formidable team in the Mackay Police District over many years with successes in both drug detection and the tracking and apprehension of numerous suspects. Condolences and acknowledgments for Tunza’s service to the Mackay community have been numerous. When not at work Tunza lived at home with Sergeant Hahn and his family. 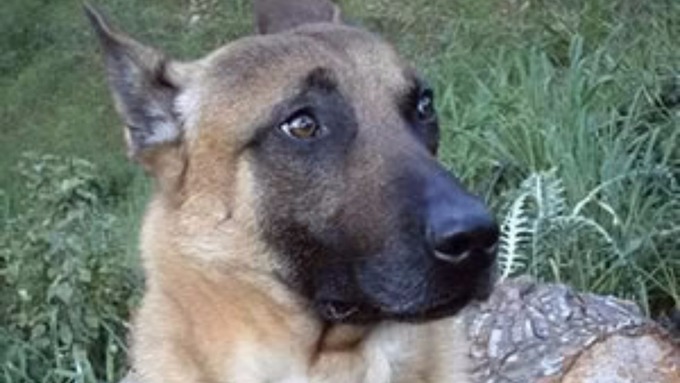 Sergeant Hahn said today that Tunza was a special dog who loved to work. “He was dearly loved by my family. I will miss him,” Sergeant Hahn said.